Sweat Note: Last year we spoke to Maria and her team mates about their 777 Challenge. Since we spoke to them, they have been beaten by logistics and the team has had to split and take on two separate challenges. Maria is now about to take on the 777 Challenge alone. 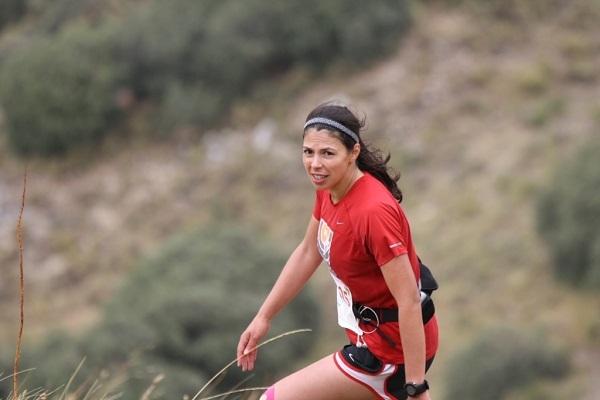 Maria will run an ultra-marathon every weekend for seven weeks, one on each of the seven continents of the world. Maria has her sights set on claiming not one, but two such records – the fastest time to complete an ultramarathon on each continent (Female), and the fastest aggregate time to complete an ultramarathon on each continent (Female). The logistics for the original challenge are extremely difficult. It seems that the world is not quite ready for this challenge, however we are working on these issues to get it organised at a later date. I have not given up on this dream, but it means that I had to find another challenge for the interim. The other girls chose to take on another tough challenge that still is 7 marathons in the 7 continents, but in 96 days total. They are really determined and I am super proud of them. Q: How are you training for the event? I train six days a week. I do personal training sessions with Taif Delaimie of Up & Running as well as spinning classes and swimming sessions to boost my cardio. I also do yoga at Gems of Yoga to increase my balance and flexibility. Q: What is going to be your biggest challenge? Q: What changes have you made to your diet? Q: What is the one thing that you’d like a runner to know if she is taking on a similar challenge? Keep in mind that you will have to devote an entire year just to do this event and everything else in your life will have to subordinate to this goal.